Der Bat.-Châtillon 155 55 ist ein französicher Selbstfahrlafette der Stufe 9. Mitte der 1950er entwickelte Batignolles-Châtillon einen eigenen Entwurf für eine schwere Selbstfahrlafette, der mehrere Merkmale des amerikanischen M47-Chassis verwendete. Das Fahrzeug war mit einer 155-mm-Haubitze ausgerüstet, die in einem drehbaren Turm untergebracht war. Mindestens ein Prototyp wurde gebaut. Keine Serienfertigung. Der Bat.-Châtillon 155 55 führt zum Bat.-Châtillon 155 58. The Bat Chatillon 155 55 is a very different artillery piece than any of the other tier 9's. 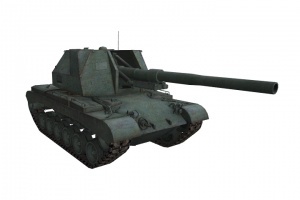 It features a 155mm gun that has the lowest-in-tier 1250 alpha damage, but the best accuracy and reload of any artillery piece in its tier. Similar to the Lorraine 155 51, it deals its damage over time by putting large numbers of rounds downrange. 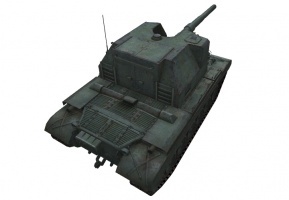 However, due to its low alpha damage, its damage can vary greatly, as many of the super-heavy tanks in the game can shrug off its hits for little to no damage. 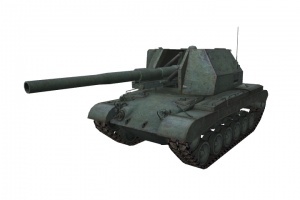 The gun, other than the damage, is a straight up upgrade to the tier 8 Lorraine 155 51, with better reload and accuracy. 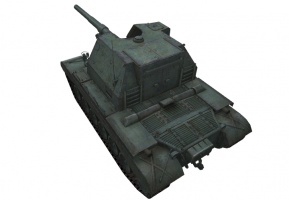 It also gains a full 360 degree turret, which allows you to switch targets more easily. The Bat Chatillon 155 55 is interesting in TD mode due to its high mobility and full turret, allowing it to surprise enemies from unexpected locations. However, it is hindered due to its low alpha, meaning that the target will often survive your one shot, and nonexistent gun depression, which can make it hard to hit things. The SCR 528F Radio carries over from the Lorraine 155 mle. 51. Mount it immediately. Research the Batignolles-Châtillon 155 mle. 56 suspension first. It gives huge boost to mobility. 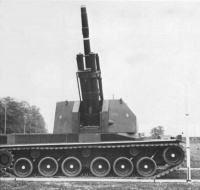 Research the Canon de 155 mm Gun. If you want more mobility, research the Continental AV-1790-7B Engine. 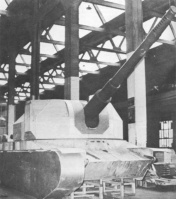 Following Lorraine’s project of the self propelled howitzer, Batignolles Chatillon started the work on the self propelled artillery vehicle with a fully rotatable turret. Main feature was to be drum based automatic loader system installed in the turret. In late 1958 all development was canceled and project was abandoned with only a one prototype built. Diese Seite wurde zuletzt am 25. Oktober 2016 um 13:36 Uhr geändert.